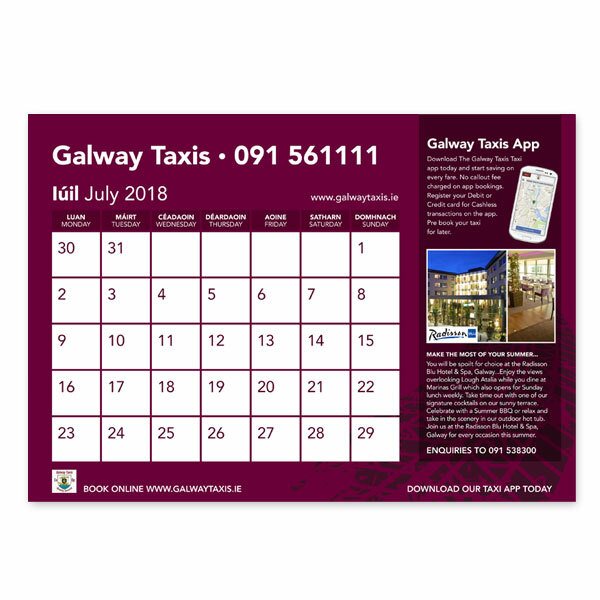 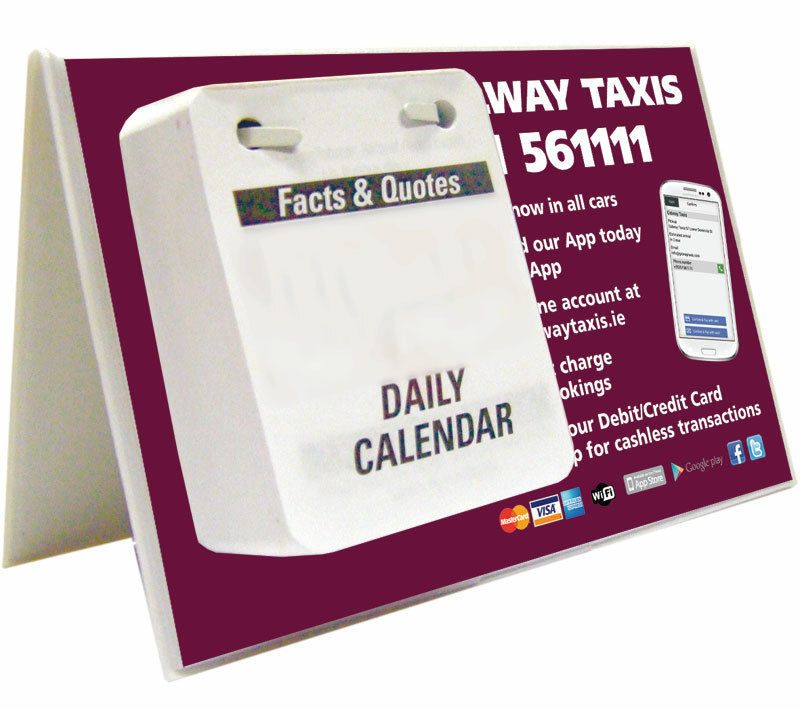 Swift have designed and printed a series of wall and desktop calendars for local cab company, Galway Taxis, for several years. 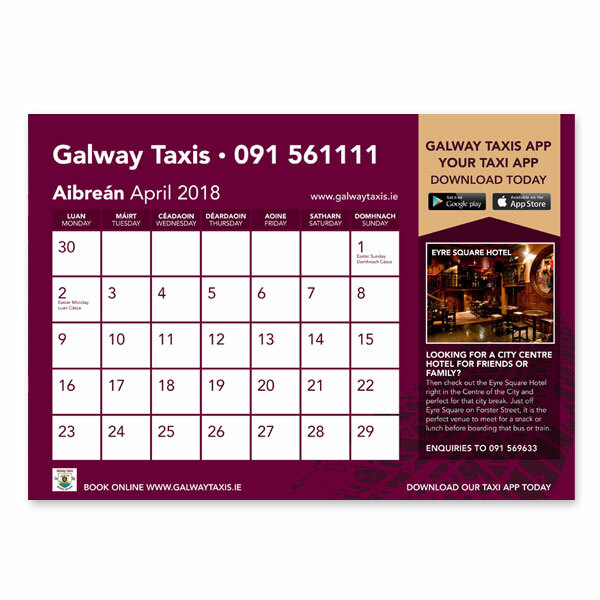 A calendar is a very useful promotional tool for a taxi company who need to keep their number and website very prominent and easily accessible for their customer base. 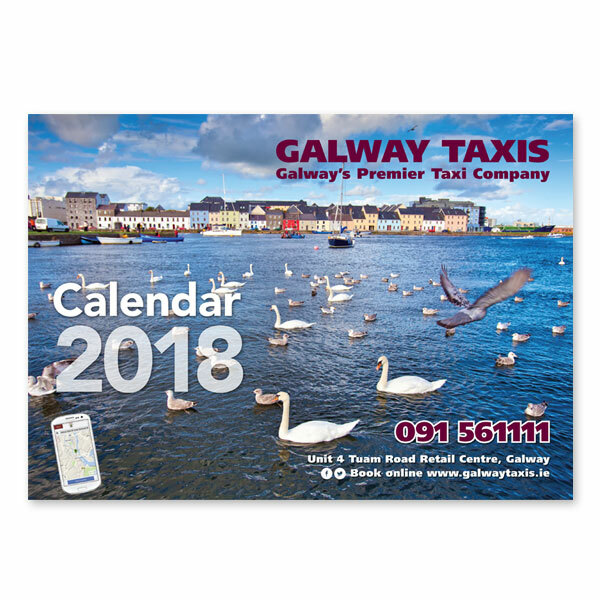 The desktop calendar features a pad of daily tear off pages and the stand is printed front and back with a custom design.